Headphones style open-back is designed to use for an ideal room. They offer spacious soundstage and impression of listening to music. They also deliver an immersive listening experience with diminishing the level of noise isolation between environment and you. But anyway, they come with the sound leak a lot. Hence, open-back headphones are not ideal for use outside. Because they may disturb people around you. 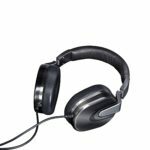 I will pick top 5 best open-back headphones for your choice. Let see the comparison features of these open-back headphones. 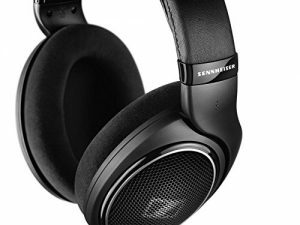 The first open-back headphones we are talking about, it’s come from Sennheiser, Sennheiser HD 598SR open-back headphones. 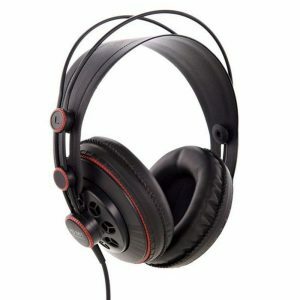 They are great open-back headphones and affordable price. Also super soft and extremely comfortable with headband cushion and the ear pad soft. The Sennheiser HD 598 SR most parts made of plastic, which means they are maybe not durable. But make them lightweight, which is an advantage. These are the excellent properties of these headphones which suitable for listening to music for a long time without any fatigue. Onto the sound quality of Sennheiser HD 598 Sr, the good thing is that the Sennheiser use transducers use aluminum voice coils. 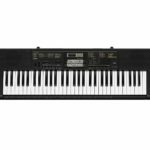 They will deliver high efficiency and excellent dynamics include very low distortion. These are important components to help to ensure exceptional sound for all genre song. 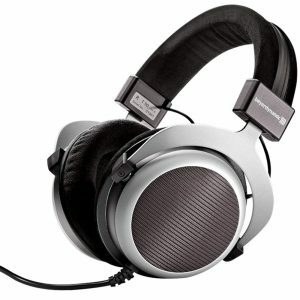 Due to, the Sennheiser HD 598 SR is an open-back headphones style. Hence, you may be hearing an external sound that goes on around you. Also, the sound leakage is one of an issue of open-back headphones. Another one thing that I don’t like is these headsets can’t foldable. 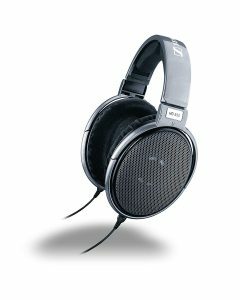 So, the not ideal for portable, these all reasons, The Sennheiser HD 598 Sr is not suitable for travel, even if they are compatible with almost all smartphone. They are produced for enjoying at home or at your private place, not for subway or public. If you can accept these inconvenience, the HD 598 Sr is one of the great open-back headphones which you can find this headphone under $200. 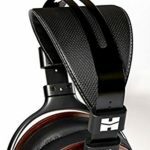 Sennheiser produce HD 598 headphones do not just have an open-back (HD 598 SR), but also has a closed-back (HD 598 Cs) which both types have a similar price. The next one for the best open back headphones we will discuss is Sennheiser HD 650 Open Back Headphones, they made in Ireland. Overall, the great thing about the Sennheiser HD650 is the Neodymium ferrous magnet system. They provide maximum performance and provide optimum dynamic response and sensitivity. They are very good sound, high bass, mid-bass, balanced. Although the sound quality of the HD650 headphones is great, however, you do not have good sound quality with the headphones’ capabilities, except you give enough power to them. So you may use it with an amplifier that provides enough power. If you want to buy the Sennheiser HD 650 for your smartphone, you might want to try out other headphones. In design though, the Sennheiser HD 650 has a rather old-fashioned concept. It also looks elegant with a silver titanium coating. Caution If you expect a large bass with the Sennheiser HD650, this is not for you. If you want a more precise and realistic listening experience, this is the best open-back headphone for you and the price under $500. Remember that the clamp may feel stiff at first. But it will improve after 1-2 months. After this period, you feel better comfortable at the head clearly. Another thing about the HD650 is that they are open style back, so sound leakage is so common. Removable cable made of high-quality materials. Neodymium Magnets System provides optimum performance. 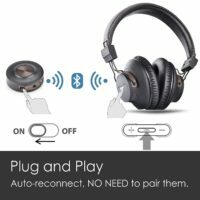 Sound leaks due to HD 650 is open back headphones. Audio Technica ATH-AD900X, extraordinary design, large 53 mm drivers to produce clear sound. They come with aluminum honeycomb casing that lightweight gives a great acoustic sound. The ATH-AD900X wearing more comfort and durability with flexible raised-fabric earpads. One thing that I so much like these headphones are they are very lightweight (256 g). Besides, the sound is very amazing. The vocal sound is very clear. Something that you should know is these open-back headphones are excellent for balanced sound and transparent sound. The highs and mids are very transparent and clear, but the bass is not strong. Therefore, If you are a heavy bass lover, the ATH-AD900X is not perfect for you. Another drawback of the Audio Technica ATH-AD900X is the same as other open-back headphones, they are suitable using at home or private area. Because they may be sound leakage. People around you may be can hear your song. Great sound quality for highs and mids. Not suitable for work out. 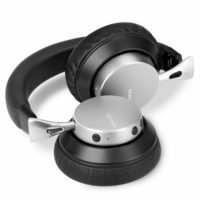 Another open backup headphones come from Superlux. The Superlux HD-681 Semi-open headphones give good quality sound more than their price. Besides, they are affordable and still provide feature noise isolation from outside noise. The Superlux HD681 also reduce the “headphone bleed” while recording in the studio. Onto the design, with an ergonomic design cause, they offer accurate and detailed sound. The HD-681 is lightweight and very comfortable package so, suit for long-period listening without fatigue. In addition, they also good for use by musicians and audio professional in monitoring applications. Along with recording live instruments and mixing, vocals, and more. Semi-open style delivers a great sound as natural. They offer deep bass response and a bit sound leakage. The Superlux HD681 Semi-Open come with 2 50mm neodymium drivers which give a balanced sound with a wide dynamic range. The HD-681 design headband to self-adjustable with thick around-ear cushions that providing a great fit. The Beyerdynamic T90 is high-end headphones from Beyerdynamic. Open-back design comes with spacious-sound and hi-resolution. They are full-size ear cup and ear pad made of velvet microfiber. It’s true which the Beyerdynamic T90 will product very very excellent sound quality when used with a great amplifier like Beyerdynamic A20 amplifier. But, they come to not a cheap price for a combine them. However, if you do not use with a suitable amplifier, the overall sound performance is not disappointing. But still not come to perfect. The balance of the left and right are great. No matter what genre of song you would like to listen will get a clearer sound and realistic. Another one thing that I like T90, they are extremely comfortable and not weight too. Just 12.3 ounces which are moderately heavy. Not fatigue your ear. So, these open-back headphones are good for long period listening. The good things about T90 like other Beyerdynamic headphones are Spare parts can be removed and replace a new one. But, the T90 like other open design headphones, one of drawback still is leakage of sound. If you can’t accept these cons, I suggest you should look for a closed-back headphone. Due to open-back design, the T90 is perfect for home use more than outside. If you don’t care about a sound leak and high price quite. If you who are like crystal-clear sound, open and clear soundstage, neutral detailed midrange and don’t like loud bass. 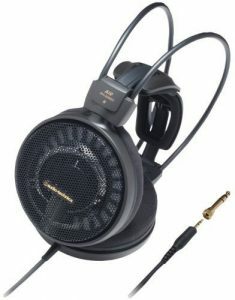 So the Beyerdynamic T90 is the best open-back headphones for you.